Dimensions: 100 x 60 cm approx. Perfect for a nursery floor, this magical Unicorn Animal Felt Rug from Fiona Walker will add character to the room. Made from felted wool, this white unicorn with matching wing outline detail, pink mane and tail lies on her tummy. 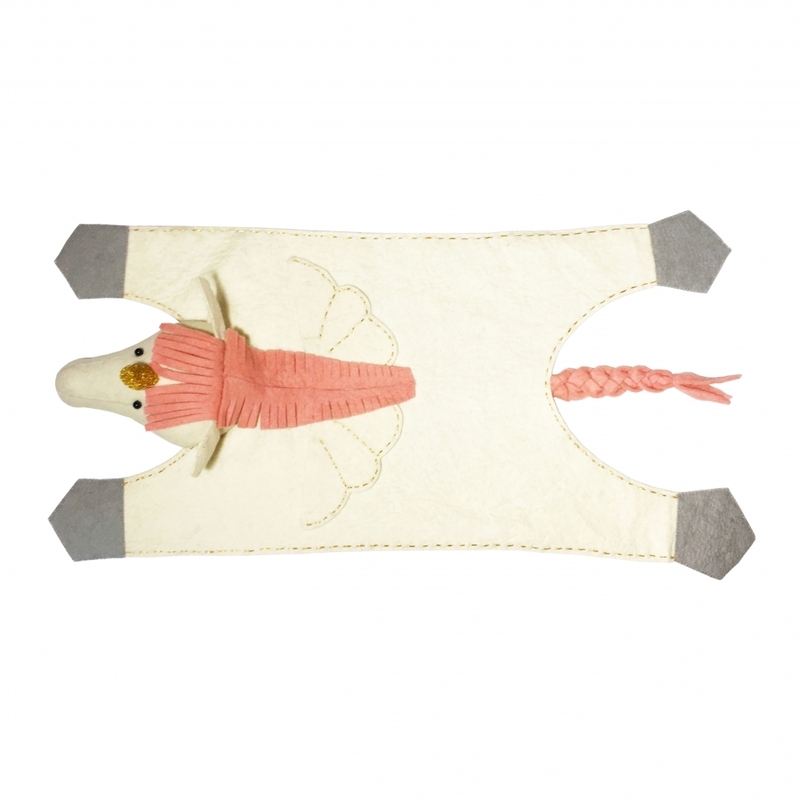 With a matching profile animal wall head and a storage bag available, they would make a lovely gift set for a new mum.